Even since I’ve been using a CPAP machine in my sleep, It’s been a lot easier for me to remember my dreams. I’ve had some really good ones, but this one takes the cake and thought I’d share it. At this wonderful setting it happens to be the day of a celebrity wedding, of course none other than Brad Pitt and Angelina Jolie’s! There’s gorgeous people everywhere, all Hollywood types in tuxedos and fancy dresses. Next the dream pans over to the groomsmen waiting area inside the church, where Brad is getting ready to get hitched – looking handsome as ever in his tux ‘Meet Joe Black’ style. I’m his best man of course! The dream transitions to the ceremony, which is outside with a small number of people in attendance. We’re all standing up in the front, watching Angelina slowly make her way down the aisle in her traditional white dress. Brad leans over to me, and puts his hand over his mouth to whisper in my direction. “I love her man, plain and simple. It’s like what you and Sarah have. This is forever.” I smile and pat him on the shoulder. Angelina arrives and the ceremony continues. It’s very traditional including the vows. The ceremony concludes, and the officiant announces the new couple. 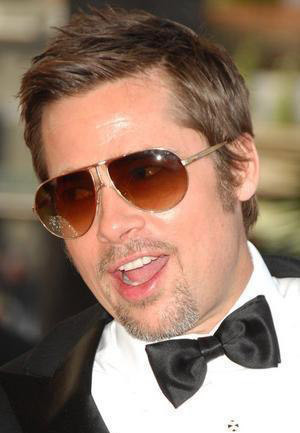 Brad gives Angelina a modest kiss, and the crowd applauds along with hoots and hollers in approval. Brad then turns to me, gives me another hug and says “Thank you, thank you for making me who I am.” He wipes away a tear. “You’re welcome buddy. Good luck with all of those kids!” I reply with a wink. oh my gosh it’s still so good. happy engagement day! !